It’s that time of year again! Warm weather brings babies galore! Although it is usually best to leave baby hares where they are, White-tailed Jackrabbits (also known as prairie hares) are one of the most common youngsters we care for at the hospital. They are typically the first babies we intake in the spring, and the last babies we receive in late summer. They require intensive care, and lots of food to raise correctly. 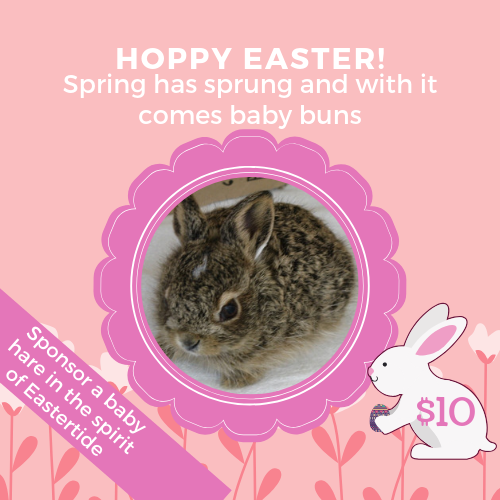 For only $10, you can help a baby hare today by clicking the sponsor button below. You will receive a personalized e-certificate made out to yourself, or any person of your choosing!